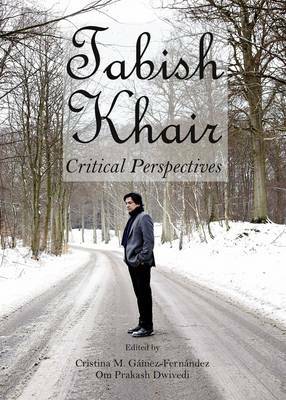 This volume approaches Tabish Khair's writings (both his theoretical proposals and his novels) from numerous different perspectives. Contributors engage from varied critical stances with Khair's academic writings in a fruitful dialogue, analyze his social, political and religious concerns, and elucidate his characteristics as a novelist and his literary powers. Furthermore, this volume is highly enriched by the presence of a hitherto unpublished play by Khair, entitled The One Percent Agency, which focuses on a tourism agency specializing in bringing "Bollywood"-style Indian weddings to foreign tourists. In the process, it becomes a satirical commentary on the packaging of international tourism as well as the ability of common Indians to adapt and thrive. It depicts the "metropolitan" India of the new millennium and inter-community relations in subtle and powerful ways. Cristina M. Gamez-Fernandez teaches at the University of Cordoba, Spain, and has spent research periods at Stanford University and Wheaton College in the US and Trinity College Dublin in Ireland. She is one of the Founders of AEEII (Spanish Association for India Studies), also serving as Secretary-Treasurer from 2007-2009. She is the editor of India in the World (2011), the Guest Editor of an issue of the Journal of Post-Colonial Cultures and Societies devoted to "Contemporary English Writing in India" (2012) and an issue of the Journal of Contemporary Literature (2013), devoted to "Muslim Identities in Literature and Film". Om Prakash Dwivedi is Assistant Professor in English at the University of Taiz, Yemen. He is the editor of Literature of the Indian Diaspora (2011); The Other India: Narratives of Terror, Communalism and Violence (2012); Changing Worlds/Changing Nations: The Concept of Nation in the Transnational Era (2012); and Postcolonial Theory in the Global Age (2013). Another publication, a collection of essays titled Tracing the Indian Diaspora, is forthcoming.